Over the years, as the subject matter and syllabi within academia have evolved, so has the reality of study and learning itself, including how we document and digest information. Today, instead of relying on memory or taking notes during lectures or research, you can simply press record on a smartphone or other device and then transcribe the audio afterward – either manually or using an automated tool or professional academic transcription service. 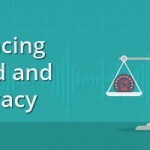 But what are the main benefits of academic transcription? And why is outsourcing to a reputable transcription provider the best option for students, researchers, professors, and universities? One of the main benefits of transcription is that it enables students to record their lectures, seminars, Q&A sessions and more word-for-word. They can then look over the content in detail later, ensuring they understand it and haven’t missed any key points. Universities can also record and upload transcripts of lectures to their website for non-attendees. Academic transcription can be extremely useful for ESL students (English as a second language). By having their lectures transcribed and then translated into their native tongue, they can spend more time digesting the content to ensure they obtain a sound understanding. 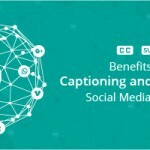 Transcription can also help individuals with hearing impairments, as well as those who have trouble following a lecturer’s speech for other reasons. Professional transcribers can accurately capture and record every statement, irrespective of accents, slang, and other nuances. 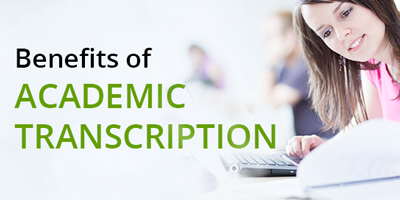 Academic transcription can also be incredibly useful for the professional research community. Instead of taking notes while a study is in progress which can be disruptive, a voice recorder or smartphone app can be used to record every observation. This audio can then be transcribed in full for later use. In addition, academic transcriptions can be useful in other similar contexts such as when conducting research interviews, peer group sessions or when pulling together information for a dissertation. 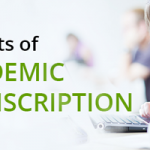 While it’s possible to do your own transcriptions, enlisting the help of a professional academic transcription service offers numerous benefits. The biggest advantage of outsourcing your academic transcription is the amount of time it can save you. If you choose to transcribe the audio yourself it can eat into valuable study or research time. If you use a transcription app or tool it may be filled with errors and need re-doing. Transcribing academic material isn’t always easy and can lead to errors and inaccuracies. By outsourcing to a reputable academic transcription provider, your content is handled by subject matter experts familiar with your field of study. This ensures a more accurate transcription. By choosing a quality transcription service provider, you can also typically access other language solutions in addition to transcription such as translation, proofreading, and copy-editing. This is extremely valuable given the potent demands for accuracy in academia. Not only does academic transcription assist learning, it also streamlines the research process. 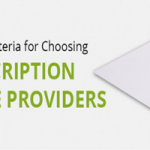 While outsourcing your transcription may seem like an unnecessary cost, such services can help you ensure your notes and data are both accessible and accurate – helping you carve a path to success.